Hello fellow followers of the Greater Good! Last article I spoke about the different HQ choices for T’au; you can find that tome of a discussion here! Today I’m going to be looking at the Troops options available to T’au. There also may or may not be a conceivably irregular review here as well, based heavily on prediction, but we shall see…. 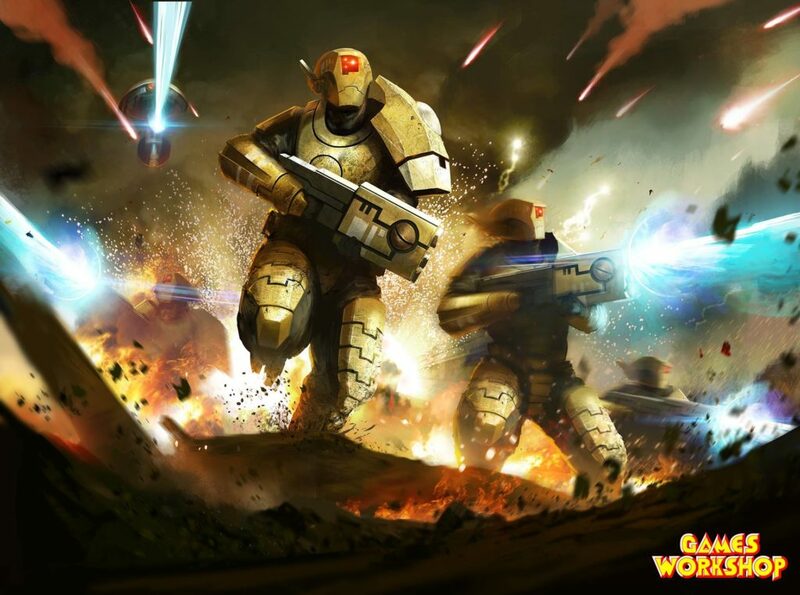 Fire Warrior Strikers are the workhorse of the T’au Empire, and can be for an infantry heavy list build. At 40 pts for a 5 man squad (including a Shas’ui), these guys are a pretty good deal. 30” Rapid fire ST 5 guns is a decent weapon for your basic troops at this cost. However, where FW’s really shine is in numbers with a cadre fireblade. 6 units of 5 FW teams, with an Etheral, a Cadre Fireblade, and a marksman gives you a Brigade Detachment at about 350 points. That’s a nice way to snag 12 CP’s (3 for battle forged and 9 for brigade), while dishing out 90 shots a turn re-rolling ones at rapid fire range near the cadre. Have those teams filled out to ten man squads, and now we’re talking about 560ish points for 180 shots. That is a considerable amount of dakka! While you can really flood the board with these guys, my recommendation is that you do so with other supporting elements; 180 shots isn’t going to take down the heavier stuff at the speed you’ll need, and having FW teams out in the open without structures or transports will see them get picked off at an alarming rate depending on your opponent. Running them with Devilfish, while somewhat pricey, really helps with their survivability, allows for less drops during deployment, and allows you to have a mobile gunline that can get to that sweet 15” rapid fire range more easily. 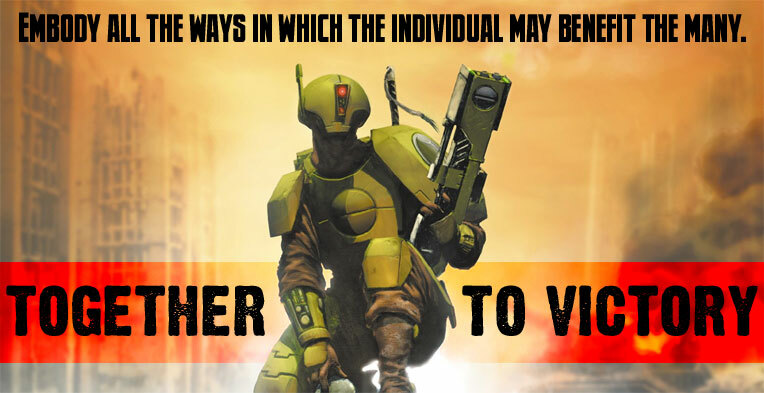 Codex Prediction: While their may or may not be stratagems that directly benefit Fire Warriors, there most likely be a Sept or two that give special rules to them or all T’au infantry that allows for them to be more considered. More importantly, given how effective they are cost wise, they are the easiest way to get high CP detachments for T’au. This is key because my thoughts are that T’au stratagems will be expensive, but very powerful, meaning lots of CP currency will be crucial. 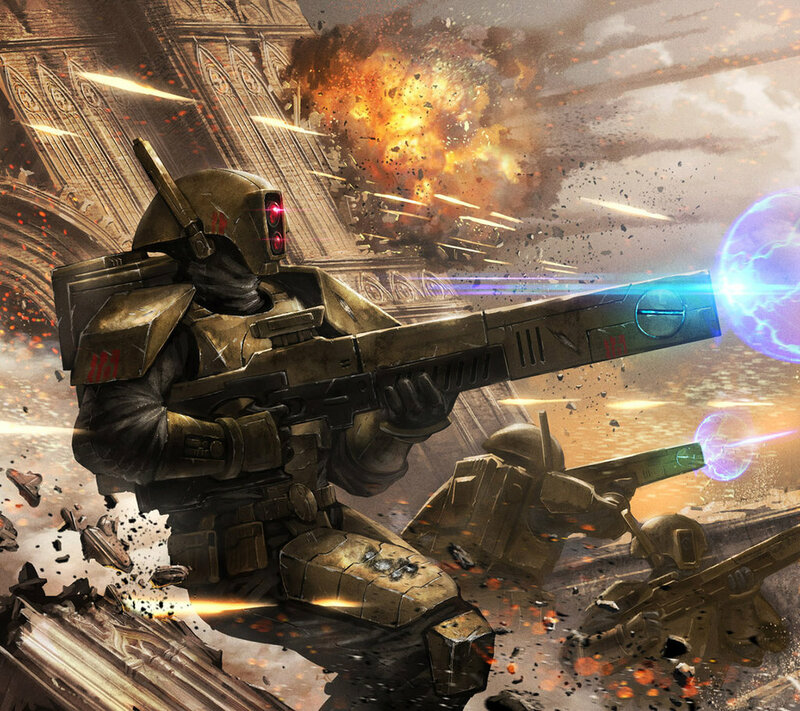 T’au Breachers were introduced during the Warzone Damocles books in 7th Edition. 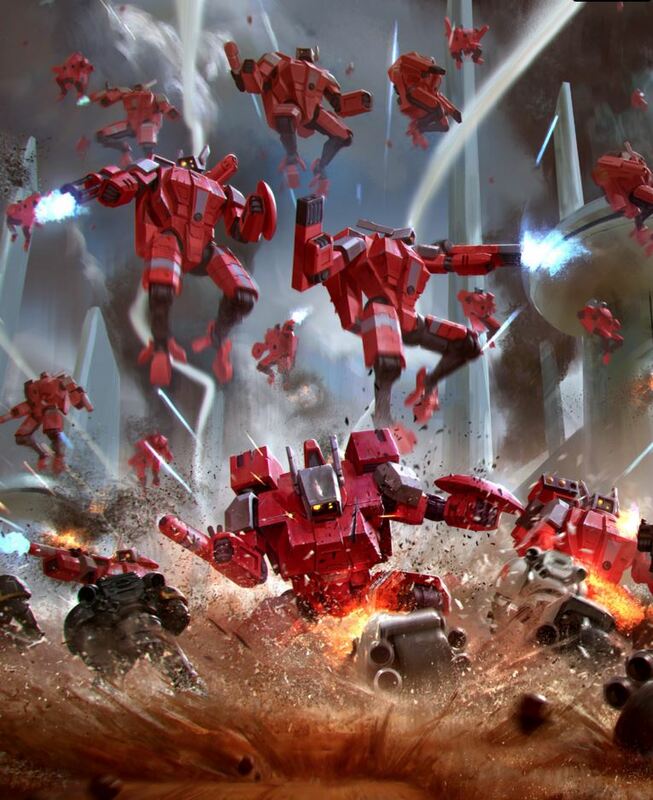 While T’au infantry wasn’t quite as viable in 7th edition (anyone who ran T’au infantry against Heldrakes or Grey Knights will shudder with PTSD memories in agreement), the increased durability of all units, as well as transports becoming a truer option for T’au have brought this unit back into consideration. The key thing with Breachers is timing their mobility; using Devilfish to move them gives them a greater threat range, and allows them to move up to 9″ disembarking without advance, with up to 14″ if you do advance. Consider having 3 markers planned to hit on their target; re-rolling 1’s and firing at full ballistic skill despite advancing will increase their effectiveness. However, given the weapon profile and damage, they are better suited to dealing with elites or SM Equivalent targets. Use Darkstrider to wound these targets on 2’s once you clear the gap! One thing to not do: don’t bring their Guardian drones. Any opponent worth his salt will target that drone first and then go after your Breachers. While drawing a target priority, this is wasted points in the end. Codex Prediction: Breachers might get a specific stratagem, or even share one with Strikers that makes them effective. However, they would benefit highly from any markerlight stratagems, or ones that allow Devilfish to be more survivable. Kroot at a glance don’t seem that great; while they have a vanguard rule, they lost sniper rounds, lost Stealth Forests (right when forests were given rules again might I add), and have pretty terrible morale. Additionally, their support choice of the Kroot Shaper is god awful, and could be the one unit I actually break my “every unit can be good” rule, but more on that later. However, the combination of their Vanguard rule, and their cheap cost makes them a good (if not great) choice for your army if you’re running a gun line style list. The reason being that for 160 pts, you can take 3 squads of 10. Using good positioning, these are enough models to prevent enemy reinforcements from dropping down and taking out your more critical units. Further, using the vanguard rule, you can push these models an additional 7″, which allows you to make last minute adjustments, or push the enemy back further if they’re an assault based list. 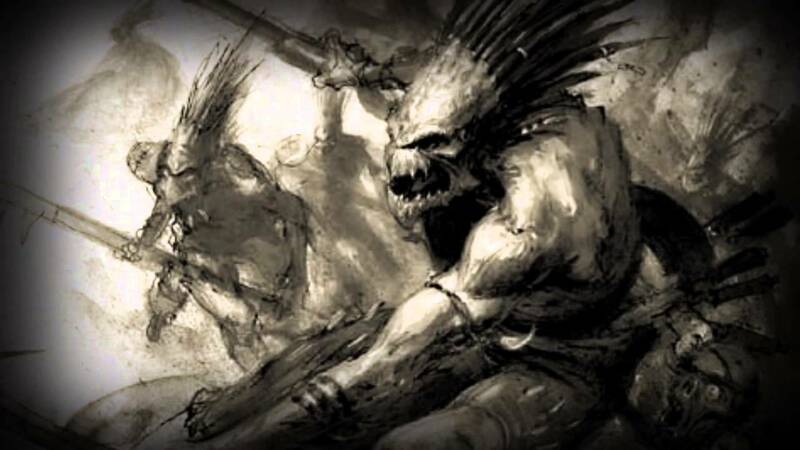 Let’s get Grimdark for a second; Kroot are rarely ever going to kill something, and maybe they will help snag an objective or two. Their real purpose is to be a buffer. An area of denial for deep strike reserve, or a speed bump for assaulting armies to deal with, their entire job is to die. But, as so many heroes and quotes have said, it’s about dying well. Every Kroot dies; not every Kroot truly lives (now to build a Scottish themed army of Kroot!) Their effectiveness comes from this. Codex Prediction: While I don’t see Pech getting any special rules from Septs, I could see the game incorporating the fluff once again. Kroot gained strength from the enemy dead, so I could see a stratagem that gives a Kroot unit a form of buff (+1 ST, or +1BS) before the game begins. +1T on Kroot makes the above approach even better. YIPEE KAI YAY IMPERIUM LOVER! CRISIS TEAMS! Yea, that’s right; I’m including them in my troop review, why? Because Farsight Enclaves are gonna get Crisis teams as Troops again. I’m calling it now! Without being guaranteed troops, Crisis Suits are a much better choice than they were in 7th Edition. The ability to take a suite of weapons that makes them effective against any target, and now that Drones can act as ablative wounds for them, and because you can drop them accurately on any turn you want (through turns 1-3), these guys can be lethal and hard to uproot. Additionally, they got an additional wound and toughness boost. Use ATS to increase their weapon effectiveness, or take multi-tracker if you don’t want to have marker support to allow you to re-roll 1’s (at the same target, which my feeling is would be done most of the time anyway). Or instead of a SS take another weapon. The trick with these units is the necessity of taking other units that makes up for them. If you’re bringing lots of Fire Warriors, bring Fusion or Cyclic suits to aid in taking out heavies. Have Hammerheads but need horde support? Bring double burst cannon Crisis teams to assist. Crisis teams are meant to fill the gap in your list and provide necessary mobility. 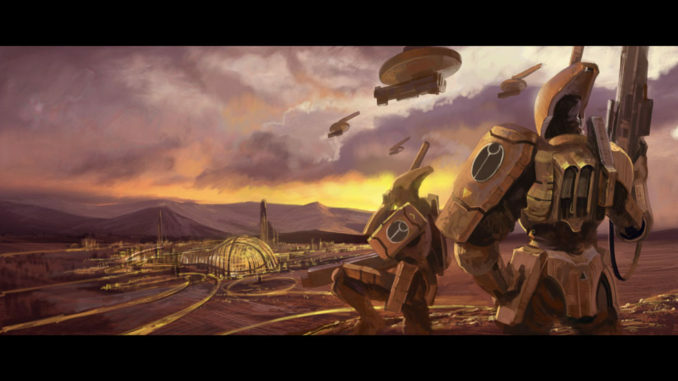 Codex Prediction: Enclaves will make them troops. This is key because it appears that each codex is getting its own version of ObSec, which would make Crisis teams the most durable Troops for T’au. Further, the ability to build Battalions where your Troops are also Crisis teams allows you to bring them (or more of them) while still getting more CP points. Lastly, there will be several Crisis oriented stratagems, either making them more lethal in the shooting phase, or perhaps even…dare I hope…Dynamic Entry? Well I hope you enjoy this section of my role reviews! Tune in next time for my pass at Fast Attack!